My mom also made sure each gift was beautifully wrapped. And that’s a tradition that i hope i’ve carried on. Maybe this is crazy but i like my gifts to match my tree and decor. It’s just my thing! These tags are easy buy can be customized for whatever colour or style you’d like to go with. Don’t let the “DIY” part scare you…Really, if i’m saying it, it’s true. 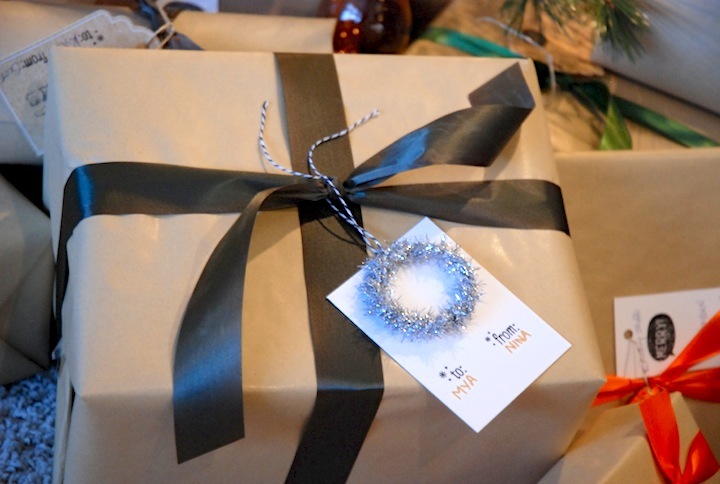 I wanted to be a bit more creative with labelling my wrapped prezzies and looked for ideas that might work well with my more rustic kraft paper that i chose to use this year. ~Stamps if you chose. **if my penmanship was nicer, i’d just free hand it! 1. 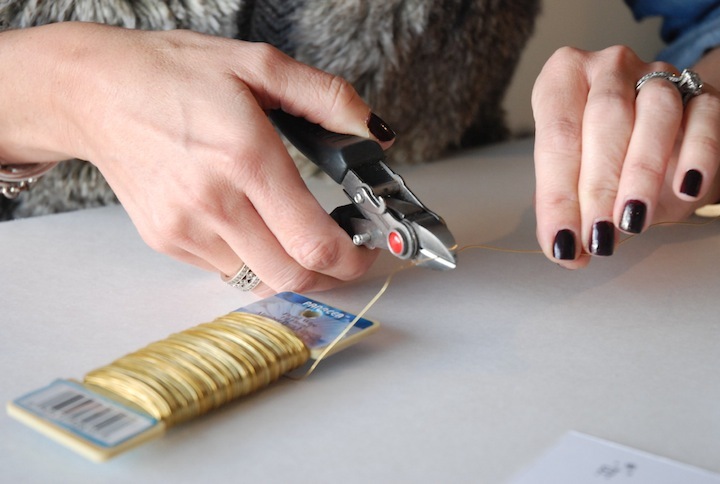 Assemble your card stock into tags, hole punching the top. Stamp the “to” and “from” if you choose. 2. Cut floral wire and wrap around a string spool to form your wreath…really anything circular works..even the bottom of a glass. 3. 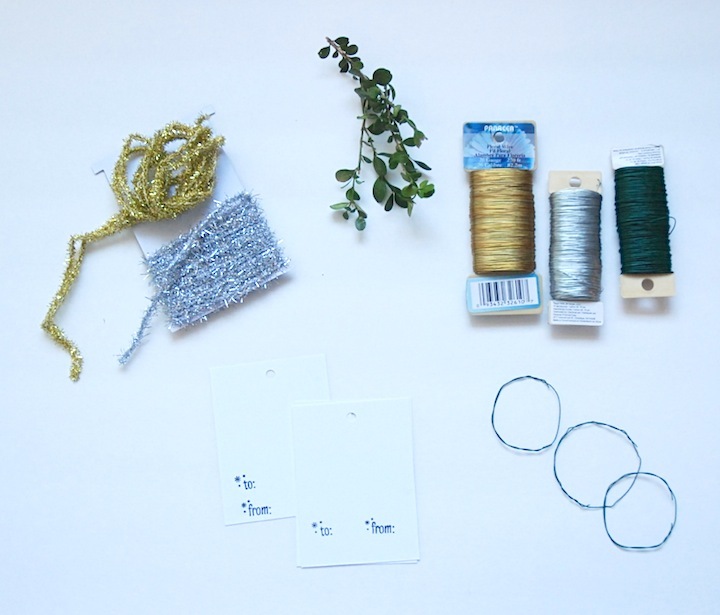 Cut lengths of tinsel or greenery and wrap them tightly around the wire wreath. I went around twice with the tinsel to give it a full look. 4. 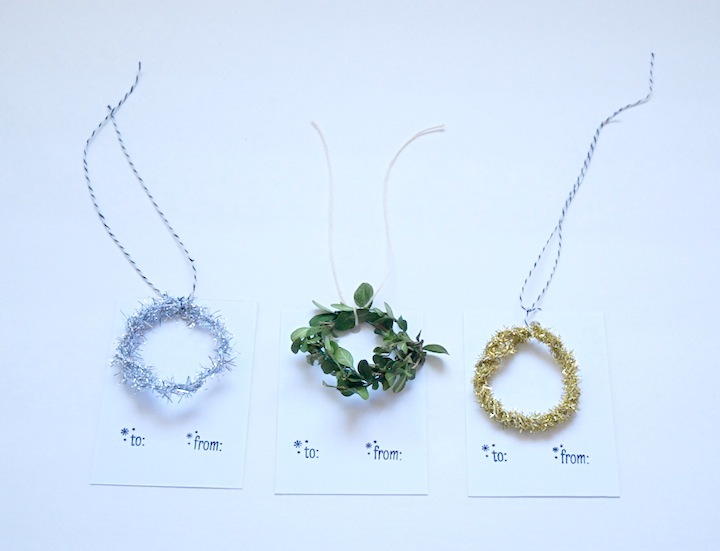 Tie the wreath to the tag. Use wire cutters to cut lengths of the floral wire. 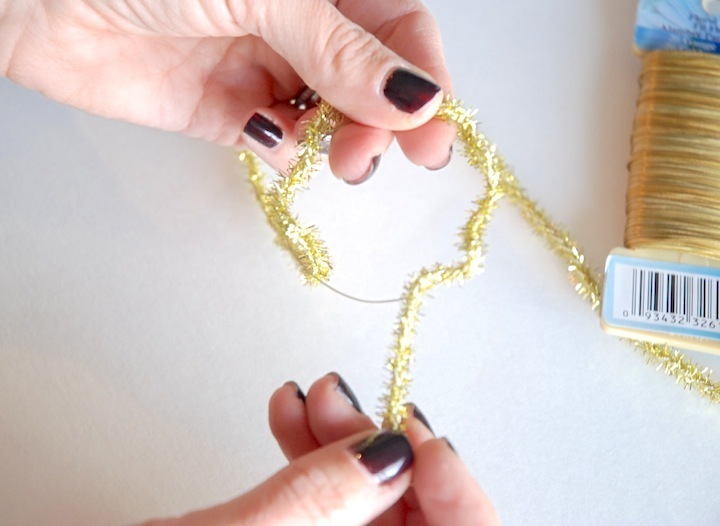 Wrap the wire around a round object to give you the basic shape and then use your hands to re-shape and tuck in the ends. Wrap lengths of tinsel around the wire wreaths. Tuck the ends into the doubled up wire. 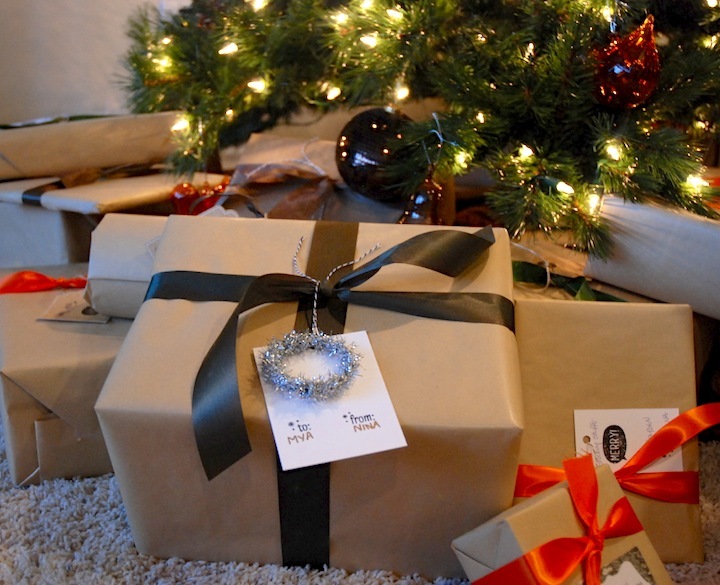 Do you have any gifting traditions? i’d love to hear what they are!